← I have a new clothesline. Yippee! 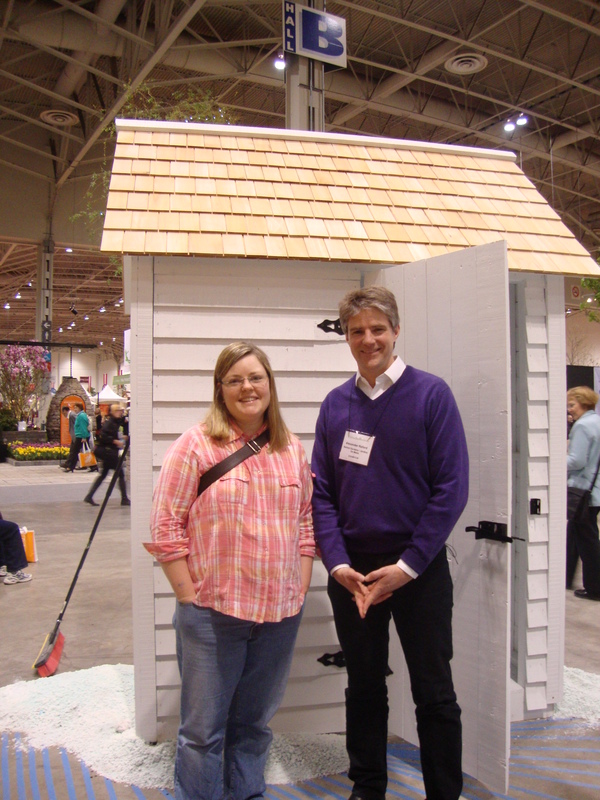 At Canada Blooms, I was delighted to meet Alexander Reford of Reford Gardens in Quebec. I couldn’t believe my luck, not only getting to say hello but having a few moments of his time to hear about what he does and tell him I was looking forward to my summer trip to his Gardens this summer. Almost two weeks ago I went to the garden tour in Swansea and at the registration table heard that Sonia Day was there promoting her books and paintings. I must have looked very excited at the news because the volunteer checking us in said, “Would you like to meet her? I’ll introduce you.” Meet her? Wow! I have read all kinds of things that she has written, and follow her weekly column in the Toronto Star, so was really excited. We walked over to the table where she was sitting and I introduced myself. We had a nice little chat about gardens and the weather and the fact that I am on a gardening sabbatical. She was awfully complementary–I look too young to be a minister and have four children, she said! Then today I was in the childhood neighbourhood of my friend A., who pointed out the home of Liz Primeau. 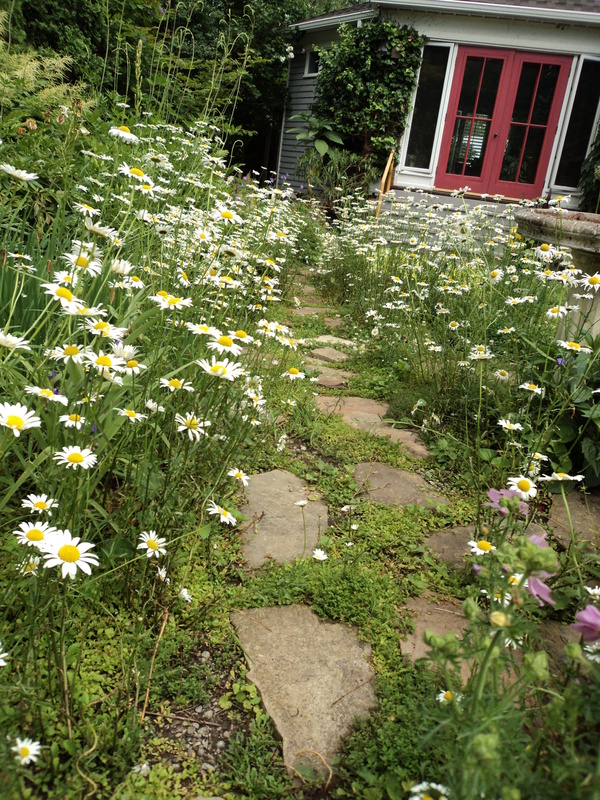 I know her from her years at Canadian Gardening Magazine, but also from her book, “Front Yard Gardens” which helped to inspire my own foray into the front yard this year. Her front garden was just as lovely as all the pictures in her book and it was amazing to see it all in full colour and three dimensions. Heaven! 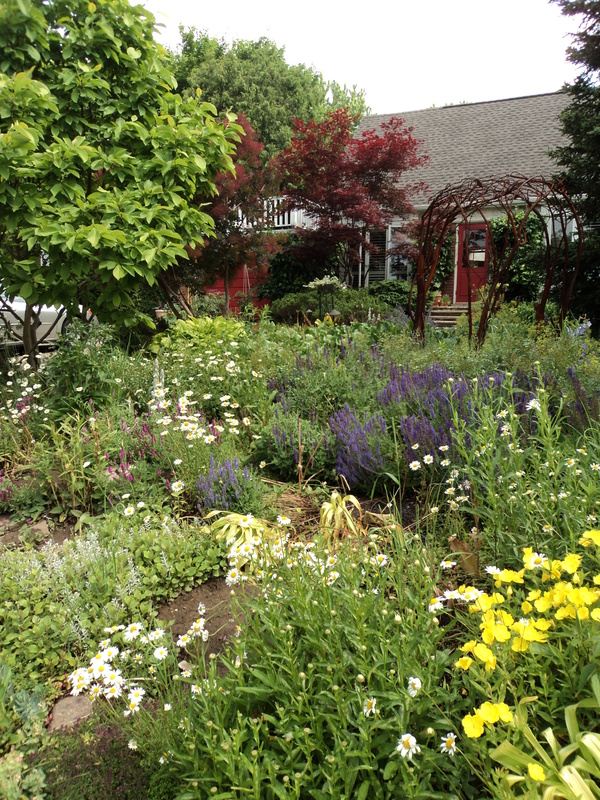 A personal tour through Liz Primeau’s garden! How blessed am I! 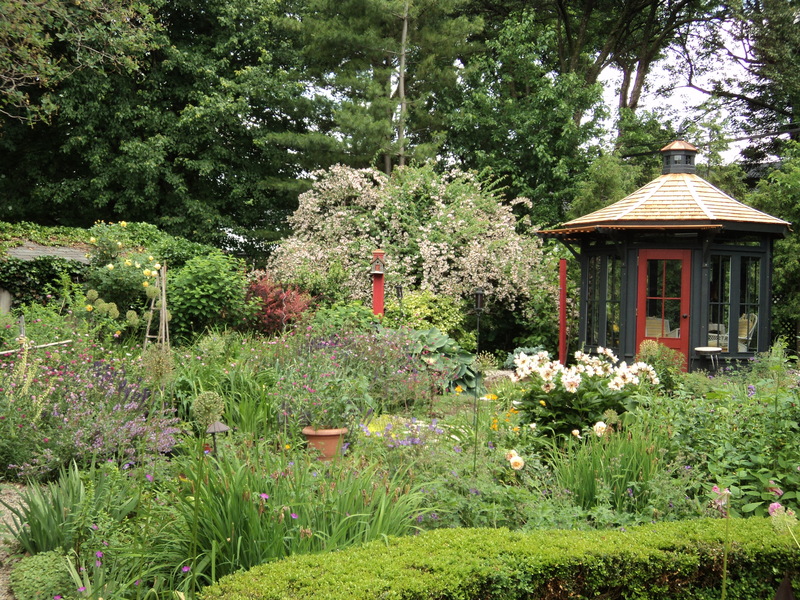 We spend quite a while admiring her new gazebo (gorgeous), her husband’s pond, and the metal sculpture made by a local artisan. We discussed how gardens just tend to get bigger and bigger each year, how children sometimes miss a place to play baseball or badminton when there is no lawn, and how a city-owned vacant lot up the street would be a great place for a community vegetable garden. The entire time we were talking I was also trying to take photos, but without missing a word of the conversation. As we left, I’m sure I was glowing. What a treat to meet someone who is not only an accomplished gardener but a writer, too. Thank you, A., for taking me by her house and thank you, Liz for being so generous with your time! I have heard people say that meeting Hollywood movie stars in person can be a real disappointment, that the actors look smaller or less attractive without their makeup and props. Meeting my garden celebrities, however, was not like that at all. In fact, meeting Alexander and Sonia and Liz (how presumtuous it feels to call them all by their first names!) made them far more, not less, interesting. They did seem different in person but in all the best ways–they were more vibrant and full of life than in their books, articles and web sites. I think meeting them will allow me to go back to their work with new feelings of appreciation and hope. Their ideas seem that much more brilliant, their garden accomplishments that much more beautiful than before. As I thumb the pages of their published writing, I will know that this is the work of real people, people who ‘put their pants on one leg at a time’ as the saying goes. They go out into the garden in their grubby clothes, have plants that succumb to aphid attacks, and like to stand around chatting about poppies or clematis just like the rest of us. What’s more, if they can create such beautiful flowers and gardens and landscapes, and if they can so clearly share their passion for creation, then I can do those same things, too. I felt nervous meeting each one of these gardeners, afraid I would say something silly. Thankfully, I had no need to worry. Each one greeted me with warmth and grace and in doing so, encouraged me in my own journey of renewal. Celebrities can be pretty great. 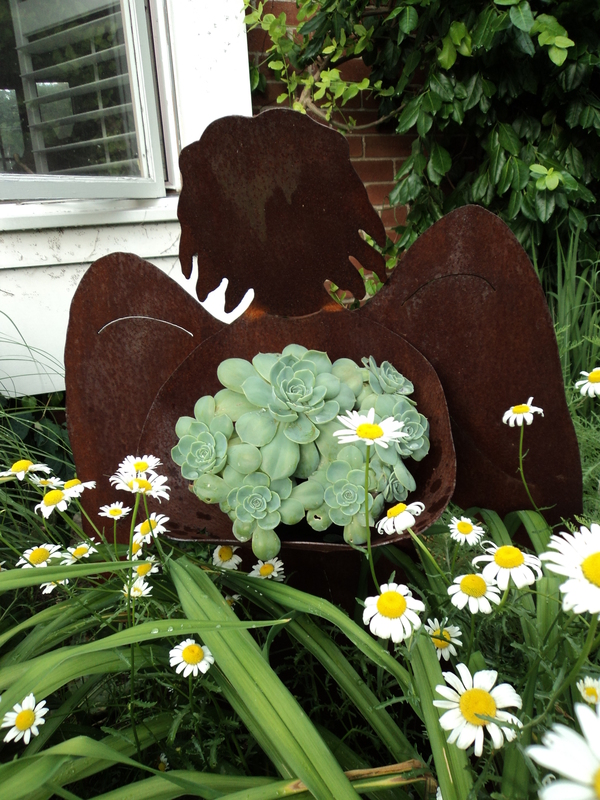 This entry was posted in Uncategorized and tagged Canada Blooms, gardening, inspiration, Reford Gardens. Bookmark the permalink.